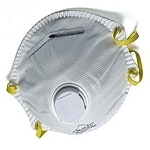 Our best quality disposable dust respirator mask. Used for sanding cured paint, sanding auto body filler, sanding fiberglass, installing fiberglass, wood sanding and spraying latex paints. Mask is maintenance free and designed for maximum comfort, performance, durability and economy. The outer shell is strengthened for moisture resistance and toughness. Will not collapse in the heat and humidity like the cheap masks. Straps are made from a polymer that will stand up to tough use and will not get caught in your hair. Mask is lightweight for comfort with an adjustable nosepiece and an inner foam seal for comfort and a safe fit. Design fits well with glasses, and goggles. 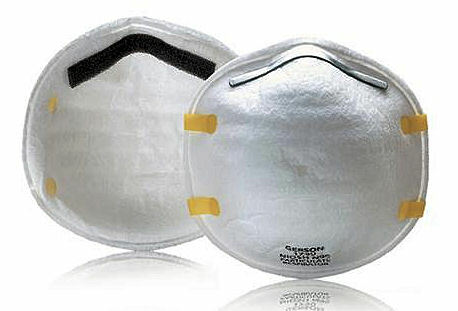 Packed and priced 20 respirators to a box.